When it comes to iPhone security, the steps you need to take aren't quite the same thing what you'd do with a desktop or laptop computer. Sure, everyone wants to keep their data safe from people who they don't want to have access to it, but traditional computer security concerns like anti-virus software aren't really issues for iPhone and iPod touch owners. Maybe the most pressing concern when it comes to iPhone security isn't electronic, it's physical: theft. Apple's devices are attractive targets for thieves and are often stolen; so much so that at one time up to 18% of grand larcenies in New York City involve iPhone theft. 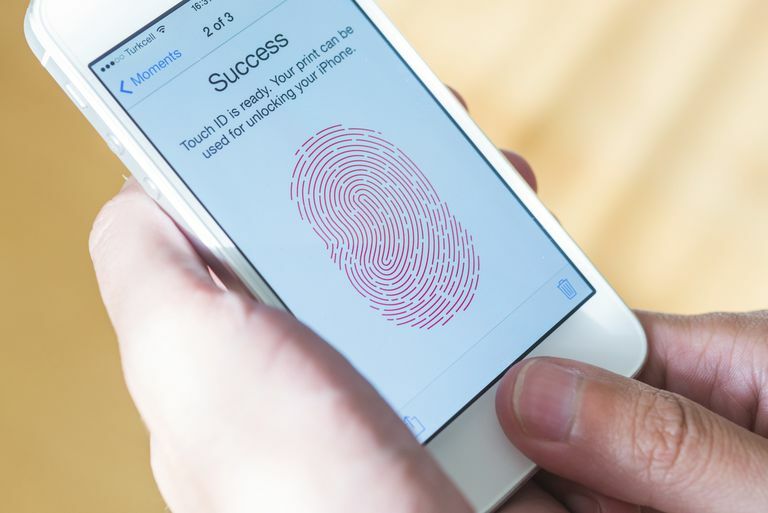 Those figures have declined over time, but iPhones still catches thieves' eyes. Theft is a major concern when it comes to iPhone security, but there are other things you should care about, too. Every iPhone and iPod touch user should follow these tips, which apply to all version of iOS including iOS 12. Do the obvious: Keep your iPhone close to you, don't leave it unattended, don't leave it exposed in your car when you're not in it. Ditch Your Earbuds: The trademark white Apple earbuds have become well-known indicators that the headphone cord snaking into your pocket or bag is connected to an iPhone. Try a different set of headphones to throw them off. Don't Use Belt Clips: Belt clips aren't great for keeping your iPhone safe in public. Since the iPhone is exposed on your body and potentially easy to pull off a belt clip, keep the clips at home. Be Aware of Your Surroundings: This can be hard. When you're listening to your iPhone, you probably won't be able to hear everything going on around you. This potentially puts you at a disadvantage relative to thieves. Be alert and aware of your surroundings, and who's around you, when you're listening to your iPhone. If your iPhone is stolen, you can make sure that the thief can't access your data. One of the best and easiest, ways to do that is by turning on your iPhone's built-in Passcode feature. You can set a passcode after your phone is stolen using Find My iPhone (more on that in a minute), but it's better to get in the good-security habit ahead of time. If your device sports Apple's Touch ID fingerprint scanner (the iPhone 7 series, iPhone 6 and 6S series, SE, and 5S, as well as both iPad Pro models, iPad Air 2 and iPad mini 3 and 4), you should use it. The same is true of Face ID on the iPhone X. Having to scan your fingerprint or your face to unlock your device is much stronger security than a four-digit passcode that you can forget or that can be guessed by a computer with enough time. Controlling the security of your private data is just as important as the physical security of your device. These days, there are more threats than ever to your data, including from apps installed on your phone. Luckily, iOS has powerful, built-in privacy controls. Learn how to use those privacy settings to protect your data. Do You Need iPhone Antivirus Software? Antivirus software is a core part of how we secure desktop and laptop computers, but you don't hear too much about iPhones getting viruses. But does that mean that it's safe to skip using antivirus on an iPhone? The answer, right now, is you don't need it. A lot of people advocate jailbreaking your phone because it allows you to customize your smartphone in ways not approved by Apple and install apps that have been rejected for inclusion in the App Store. But if you want your iPhone to be as secure as possible, stay far away from jailbreaking. Apple has designed the iOS—the operating system that runs on the iPhone—with security in mind, so iPhones aren't subject to viruses, malware, or other software-based security threats common to PCs and Android phones. Except for jailbroken phones. The only viruses that have struck iPhones have targeted jailbroken devices. So, the lure of jailbreaking may be strong, but if security is important, don't do it. If you sync your iPhone with your computer, the data from your phone is also stored on your desktop or laptop. That means that the data is potentially accessible by people who can get at your computer. Secure that data by encrypting those backups. This prevents someone who doesn’t know your password from getting access to your data by using your computer. Do this in iTunes when you sync your iPhone or iPod touch. On the main management page, in the Options section below the picture of your device, you’ll see a checkbox called Encrypt iPhone backup. Check that box and set a password for the backup. Now, if you want to restore from that backup, you’ll need to know the password. Otherwise, no getting at that data. There aren’t a lot of apps that will improve your iPod touch or iPhone security right now — though that may change. As iPhone security becomes a bigger issue, expect to see things like VPN clients for the iPhone. When you do see them, though, be skeptical. Apple's design for the iOS is very different than, say, Microsoft's for Windows and it's much more secure. Security is unlikely to become as big a problem on iOS as it is on other OSes. Having said that, you can always learn more about protecting your digital privacy and prevent government spying — it never hurts to know as much as you can. It’s also important to note that some tools available at the App Store that appear to perform heavy-duty security functions — like a fingerprint or eye scans — don’t actually perform those tests. Instead, they use another security protocol that they disguise by appearing to perform those scans. Before you buy security apps at the App Store, make sure you’re clear on what the app does and doesn’t do.